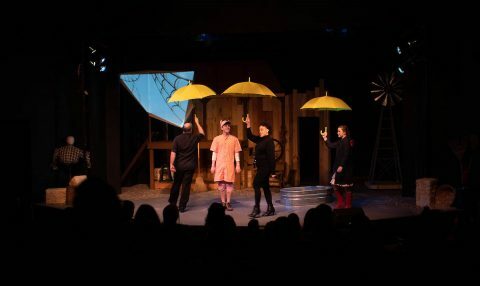 Clarksville, TN – Austin Peay State University President Alisa White and the APSU Center of Excellence for the Creative Arts (CECA, or “seek-ah”) invite the entire community to the 2019 Ovation Awards, a family-friendly celebration of the arts. Billy Renkl is winner of this year’s Individual Artist Award. 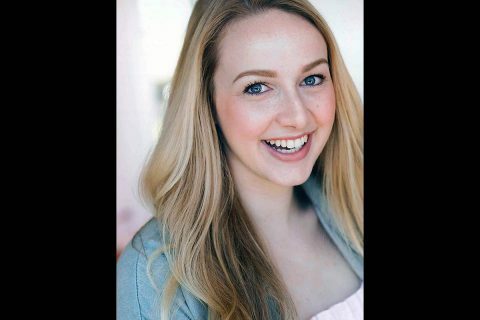 Clarksville, TN – One of the most enduring pieces of American literature takes to the stage of Clarksville’s oldest professional theatre, the Roxy Regional Theatre, this spring. Based on Harper Lee’s Pulitzer Prize-winning coming-of-age novel about a man wrongly convicted and persecuted for a crime on the basis of his skin color, “To Kill A Mockingbird” opens at the Roxy Regional Theatre on Friday, March 8th, at 8:00pm. In keeping with the theatre’s traditional pay-what-you-can opening night, all tickets not pre-sold at the full price will go on sale at 7:30pm that evening for a $5.00 minimum donation. 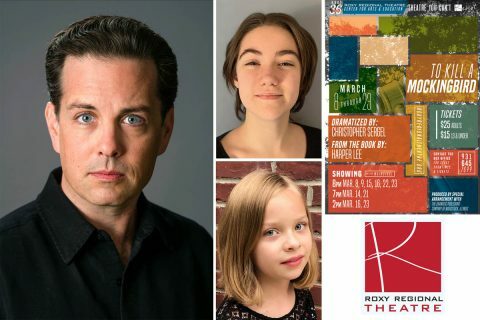 John Adkison stars as Atticus Finch alongside Katie Stafford and Georgia Litaker, sharing the role of Scout, in Harper Lee’s “To Kill A Mockingbird” at the Roxy Regional Theatre, March 8th – March 23rd. Clarksville, TN – Take a trip back in time to the not-so-distant past when flannel was the height of fashion and mix tapes were the language of love. A coming-of-age musical inspired by Matthew Sweet’s 1991 breakthrough pop/rock album of the same name, “Girlfriend” plays theotherspace at the Roxy Regional Theatre for four nights only, February 25th through March 5th. Set in small-town Nebraska in the early ’90s, “Girlfriend” explores the relationship between two young men who appear to have little in common yet are intensely drawn together. 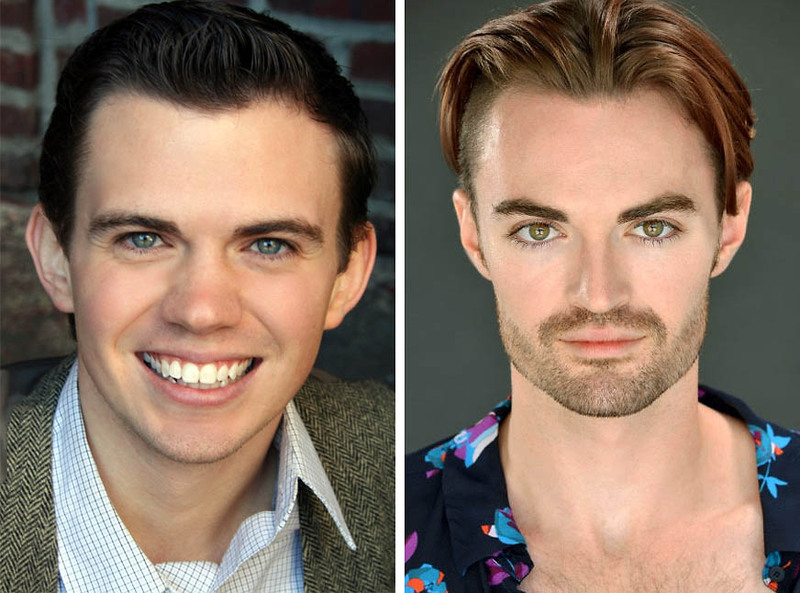 Ryan Bowie and Ian Alexander Erbe star in “Girlfriend” in the Roxy Regional Theatre’s theotherspace, February 25th – March 5th. Clarksville, TN – Anticipation rippled through the Barkers Mill Elementary third, fourth and fifth graders as they witnessed Fern pondering what to name her piglet. 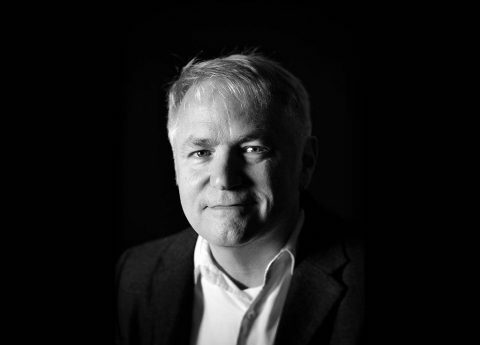 Some students giggled and leaned toward each other’s ears, whispering. Other students shifted forward in their seats at the Roxy Regional Theatre and whispered – a bit more loudly – at the stage. APSU CECA sponsors trip to see “Charlotte’s Web” at the Roxy Regional Theatre. 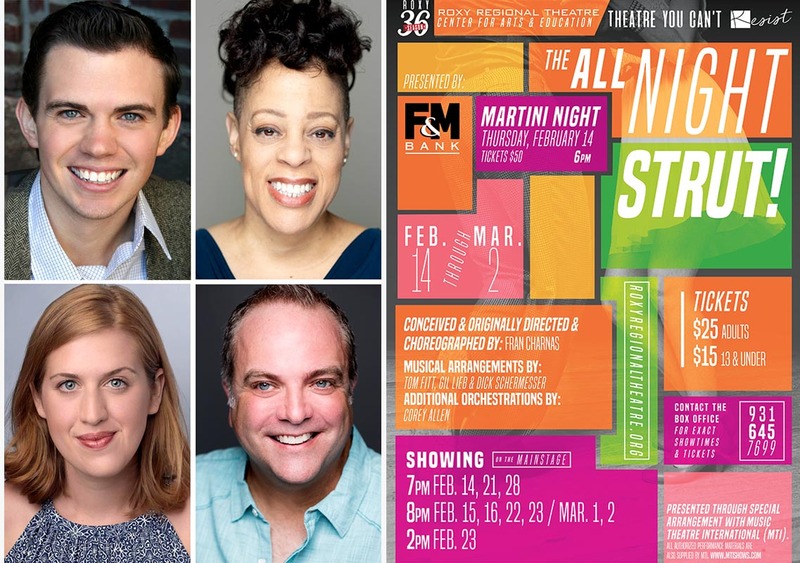 Clarksville, TN – Swing’s the thing on the corner of Franklin and First in Historic Downtown Clarksville this month as F&M Bank proudly presents the ’30s and ’40s musical revue “The All Night Strut!” at the Roxy Regional Theatre. A delightful romp through the dance and music of the 1930s and ’40s, “The All Night Strut!” is bursting at the seams with jazz, blues, bebop and American songbook standards, weaving together the work of such legendary songwriters as Hoagy Carmichael, Frank Loesser, Duke Ellington, Johnny Mercer, Cab Calloway and the Gershwins. Clarksville, TN – Bring the kids to the Roxy Regional Theatre located at corner of Franklin and First in Historic Downtown Clarksville this month for a family-friendly favorite about a remarkable pig, a young girl, a spider and the friendship that binds them together. 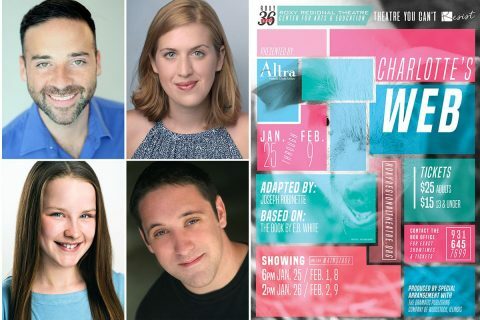 Altra Federal Credit Union proudly presents the beloved children’s classic “Charlotte’s Web” at the Roxy Regional Theatre for six performances, beginning Friday, January 25th, at 6:00pm. 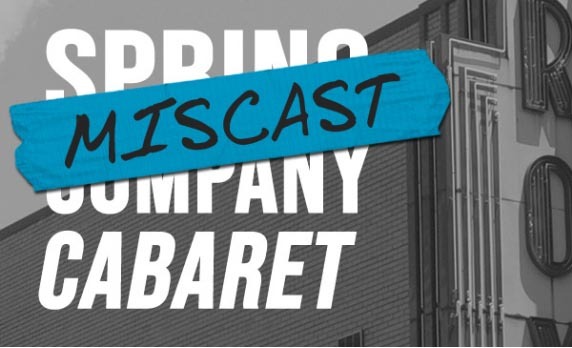 In keeping with the theatre’s traditional pay-what-you-can opening night, all tickets not pre-sold at the regular ticket price will go on sale at 5:30pm that evening for a $5.00 minimum donation. (Clockwise from top left) Matt Flocco, Emma Jordan, Bryan Plummer and Kylan Elizabeth Ritchie star in “Charlotte’s Web” at the Roxy Regional Theatre, January 25th-February 9th. 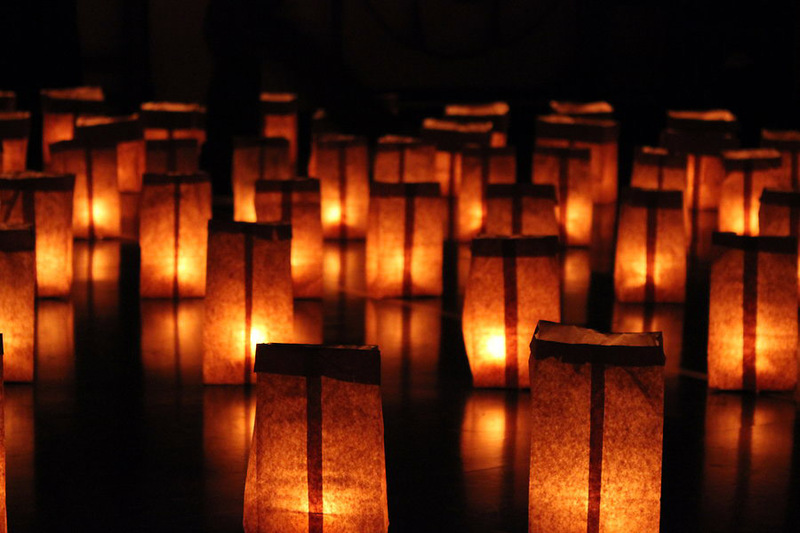 Clarksville, TN – The residents of Dog Hill Historic District in downtown Clarksville, Tennessee announce the Annual Illuminating Dog Hill holiday event. You are invited to visit the district on the evening of December 22nd, 2018 to enjoy the candlelit luminaries which the residents of Dog Hill will have on display from 5:00pm until 8:00pm.